Londoners will be very familiar with the crowded London Underground services and their famous diagrammatic Tube Map, but might be less familiar with another public transport network – boats on the River Thames. Yes, you can commute to work by catamaran – as long as you live and work close to the river. London’s river services are underused, certainly compared to most other modes of transport in the metropolis, so you have a good chance of a seat, even at at the height of rush hour. Travelling with a view, and much faster than on buses through clogged up streets – what’s not to like? 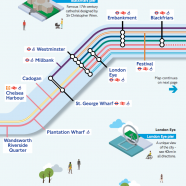 You can even use your Oyster card or contactless card to pay for the River Bus services (RB1-6) – these are the ones shown with solid lines on the map. 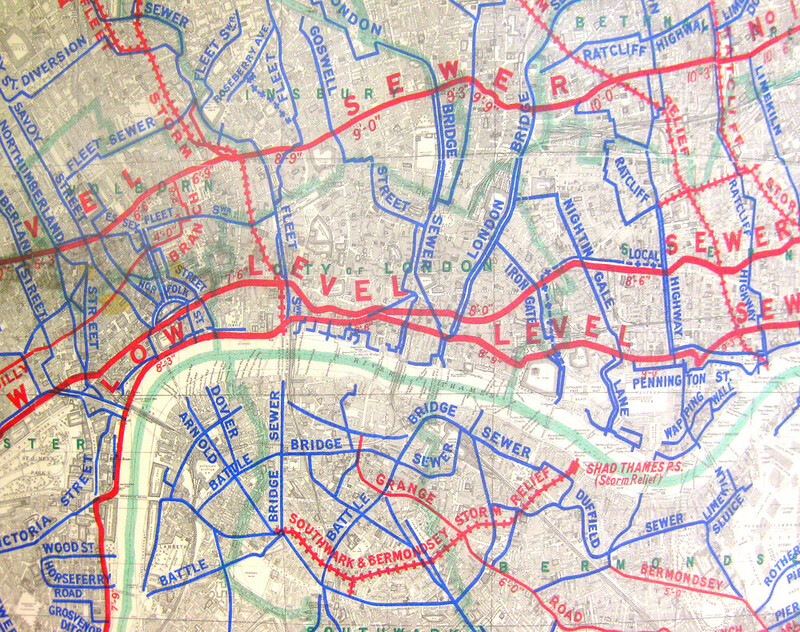 Transport for London has produced the map we feature here (see larger version), as part of its London River Services booklet. 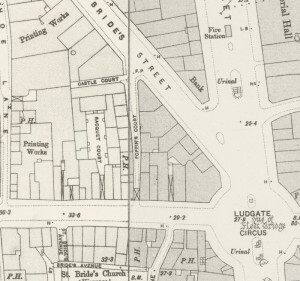 There is also a simpler dedicated map, without the details on tourist attractions. 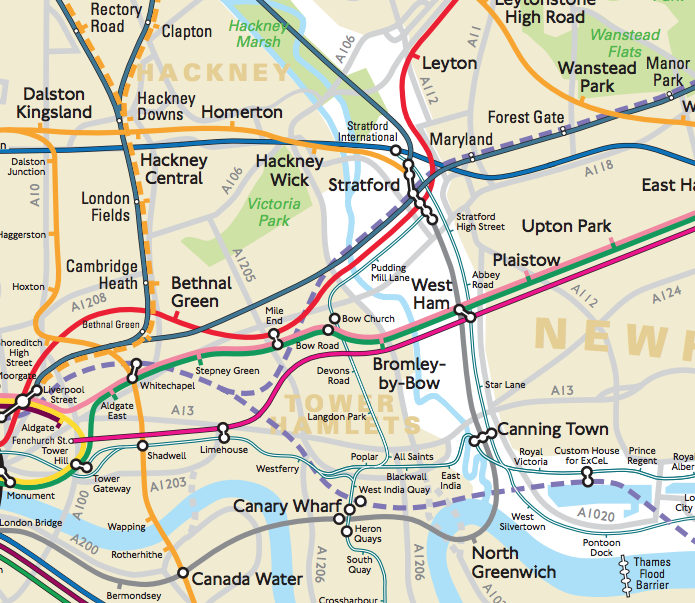 We like the pseudo-tube-map styling, although it could of course be simplified even further, with the Thames just being shown as a straight line. The inclusion of isometric squares showing the major landmarks near each pier is a nice touch. 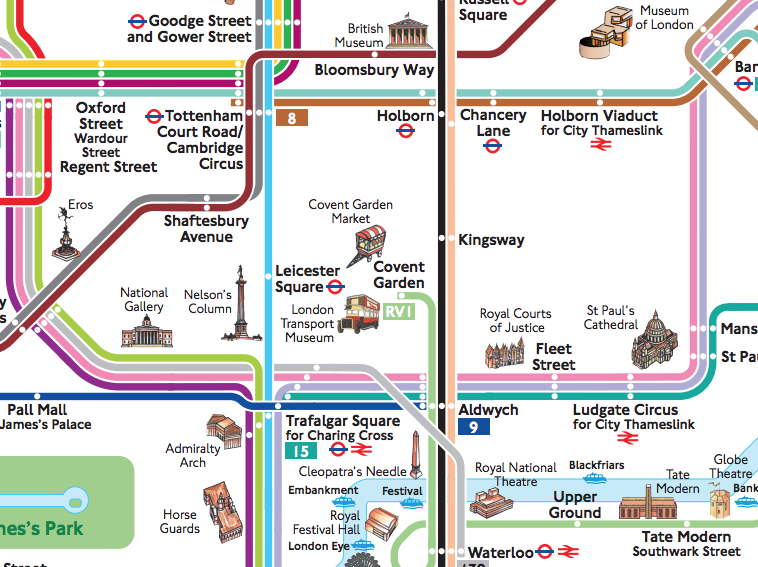 TfL has never really decided whether its river services are for tourists or commuters, but this map should satisfy both. 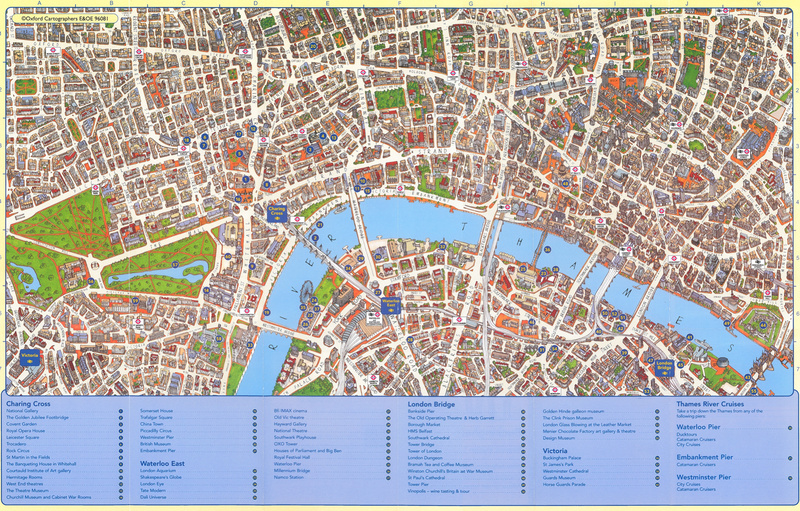 Good to see London River Services (LRS) finally produce a clear, legible map after all these years. I’ve seen some of their earlier versions on this site, which were quite terrible. 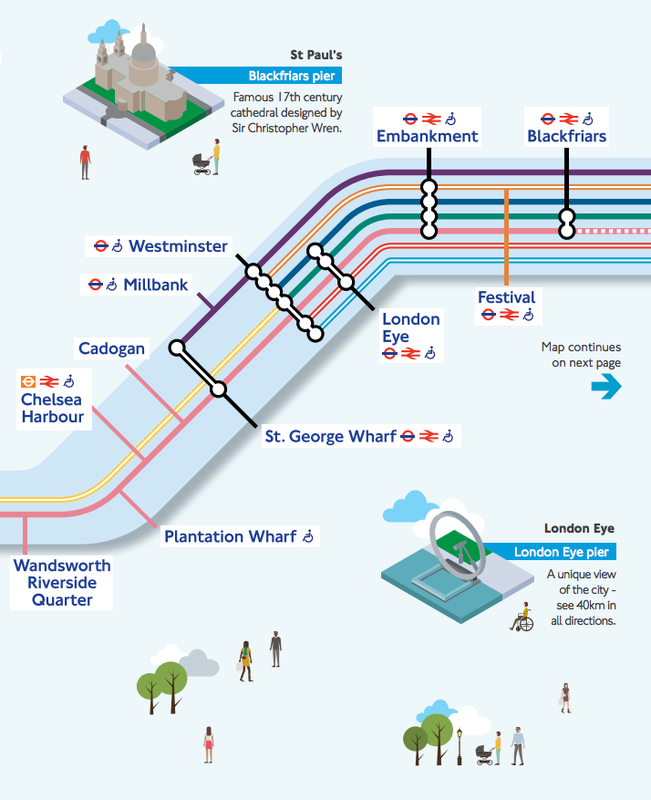 Also, applying Harry Beck’s tube design principles doesn’t necessarily produce a good map design, as LRS (and Thames Clippers) found out. Here, their tourist map lacks a legend, important to distinguish between River Buses, which frequent service and longer hours, and the more expensive, and slower, tourist routes. Thanks for sharing, as a visitor to London who enjoys using the River Bus admittedly for tourist purposes, it was nice to see a post about them.